We are grateful for all the work you have done the last 48-hours. We are making progress on a number of fronts in getting the arena funding bill passed. We put together a new FAQ below to help keep you informed as to where we stand as of 8:30pm on July 7th— and what to do next. Read on! Q: Will there be a vote in the Senate tomorrow (Wednesday)? A: Given that the State Senate has not put this on the calendar yet tonight, the bill might not get introduced and heard tomorrow. However, we wouldn’t necessarily read anything negative into that. The GOP has been bogged down trying to sort out their own issues over the Open Records Law and Prevailing Wage the past 24-hours. We wish that weren’t the case, but it is. This entry was posted in Articles and tagged Chris Abele, Milwaukee Bucks, New Arena, Save Our Bucks, Tom Barrett on July 7, 2015 by SOB Editor. Arena Week – Now Is The Time! We have an updated FAQ on where we stand now posted to the site. Read in conjunction with this piece. We have all talked the arena issue to death for the past six months. We have now reached the critical point where the arena funding bill will be debated in Madison and voted on this week. This entry was posted in Articles and tagged Milwaukee Bucks, New Arena, Robin Vos, Save Our Bucks, Wisconsin Budget on July 5, 2015 by SOB Editor. 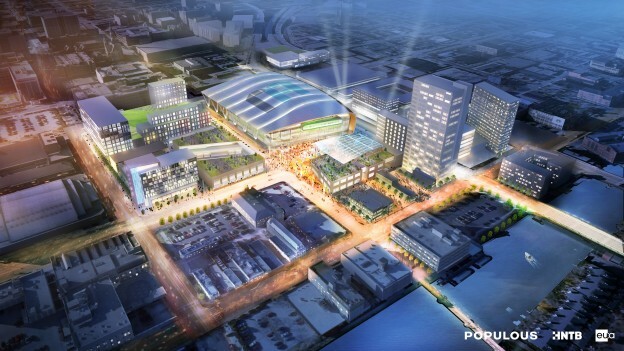 4- There may not be another event in Milwaukee that all Bucks fans can come to in order to rally for the arena. After tomorrow night, the action may shift back to Madison. This may be our only opportunity for an event like this. 5- The meeting may run a few hours, but if you can only come for the first hour, even that is helpful. It will be entertaining and interesting to observe. Mark it down. Tuesday, June 9th at 5:30pm at the Milwaukee War Memorial on the Lakefront. It will be a beautiful 80 degree night at the lakefront. Come down for the scenery and stay for the meeting. This entry was posted in Articles and tagged Chris Abele, Milwaukee Bucks, New Arena, Save Our Bucks on June 8, 2015 by SOB Editor. Congratulations and thank you to Governor Walker, County Executive Chris Abele, Mayor Tom Barrett, Senator Scott Fitzgerald, Representative Robin Vos, Senator Alberta Darling and all the legislators who came together today to announce a bipartisan plan to fund a new arena that will preserve tax revenues, create jobs and help develop the blighted Park East corridor in downtown Milwaukee, all while preserving our favorite NBA team for future generations to enjoy. This entry was posted in Articles and tagged Alberta Darling, Chris Abele, Milwaukee Bucks, New Arena, Robin Vos, Scott Fitzgerald, Scott Walker, Tom Barrett on June 4, 2015 by SOB Editor. A great deal of arena news came down today and with it comes our first appeal to you. We’ll need you to come out in force next Tuesday for the special County Board hearing just announced. Today the news came out that the Bucks’ owners are looking to purchase the remaining Park East acreage west of the river for development of not only the arena but also a new practice facility, restaurants, a hotel, apartments, parking garages, etc. Tom Daykin with MJS first reported it here. This would be a $400 million privately funded development in addition to the arena itself. Milwaukee County Executive Chris Abele is proposing to sell the 10-acres of Park East land west of the river to the Bucks owners for development purposes for the price of $1. The County Board of Supervisors will need to approve the sale. To that end, the County Board has announced a public hearing on Tuesday, June 9th at 5:30pm to allow the public to weigh-in on the proposal. The good news is that the location of this hearing will be at the War Memorial Center on the lakefront and free parking will be provided (750 N. Lincoln Memorial Drive.) We anticipate that this hearing will garner significant media coverage. At this hearing there will be a veritable Star Wars bar scene of different people with different agendas. Some will be excited about the fact that Park East land west of the river is actually being developed after being on the market since 2002 with no takers. There will also be citizens who will insist the property is worth more than the island of Maui and that the County board should hold on to the land for another decade or more until they can find a new developer willing to pay an exorbitant price for it. What we’ll need at this meeting is YOU! We’ll need you in your best Bucks gear at the War Memorial to represent Bucks fans everywhere. Attendance at this meeting does not mean you will need to speak at the hearing unless you want to. The most important thing for us will be the number of people wearing Bucks gear at this meeting. Supportive signs are good as well. We’re going to spend the next week in conjunction with the other members of the Bucks online community in getting the word out. This will be the first chance for local and State legislators to see if Bucks fans “care”. If only ten of you show up? Well let’s just say that will embolden the arena detractors. Since the hearing is going to start at 5:30pm, we’d encourage you to get there at 5:15pm. But if you can’t be there early, be sure to still come. The session may go on for a few hours. Follow us on social media for more updates and be listening for our spokesman Paul Henning on local radio this weekend as well. This entry was posted in Articles and tagged Bob Bauman, Charlie Sykes, Chris Abele, Mark Belling, Milwaukee Bucks, New Arena, Save Our Bucks, Scott Walker on June 2, 2015 by SOB Editor. FALSE. We already have the “Jock Tax” in place in Wisconsin. This entry was posted in Articles and tagged Jock Tax, Milwaukee Bucks, New Arena, Save Our Bucks, Scott Walker on May 31, 2015 by SOB Editor. When the conversation got rolling on a new Bucks arena in April of 2014, Milwaukee talk radio commentator Charlie Sykes came out with significant critiques as it related to public financing for a new downtown arena. With the details of a new plan leaking out today, he’s back at it again both on his talk show and at this link via his Right Wisconsin digital platform. Last year in the spirit of good debate, we did a piece addressing some of his concerns. We’ll take a crack at his concerns raised today with the new financing plan. Before reading this piece, we’d recommend that for background you read our piece from last night – The Elements of The Deal if you have not already done so. This entry was posted in Articles and tagged Bradley Center, Charlie Sykes, Milwaukee Bucks, New Arena, Robin Vos, Save Our Bucks, Scott Walker, Senator Kohl, Tom Barrett, Wisconsin Center District on May 28, 2015 by SOB Editor. The news leaked out earlier this afternoon. First from local Milwaukee talk radio personality Mark Belling and then quickly followed up by the reporters at the Milwaukee Journal Sentinel. 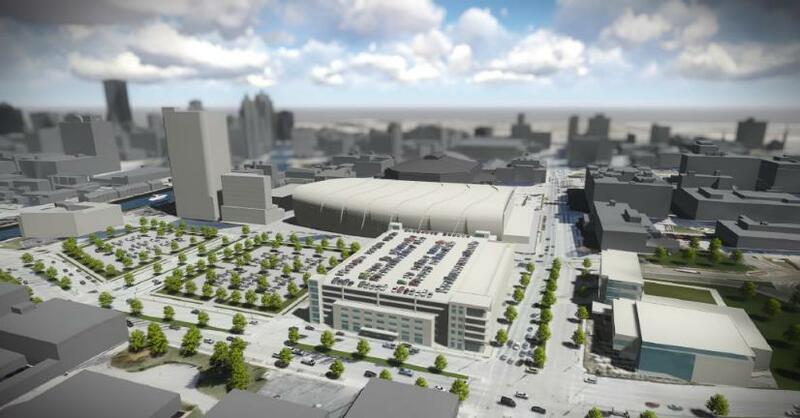 The elements of a deal are in place to finance a new Milwaukee arena complex. We are going to give it our best shot at explaining what the key moving pieces are and what to look for next. Before we begin, we’d like to offer our condolences to the family of Don Walker, the MJS reporter covering the arena issue, who passed away unexpectedly last week of a heart attack at the age of 62. Don and I (your SOB editor) had many email conversations on all things Milwaukee Bucks and the arena project over the past two years. I had known Don from assisting him with some prior stories on Miller Park many years ago. He was a very hard working reporter who was respected by all. As the excitement of the arena takes shape, we do so not only without Don, but also Bradley Center Chairman Marc Marotta, who unexpectedly passed away last month as well. The sad irony is that a key driver of the project (Marotta) and the key reporter covering the project (Walker) are not with us to shepherd things as we enter the home stretch. That said, we know they will be there in spirit when the first Bucks home game is played at the new building. Condolences for the families of both men. 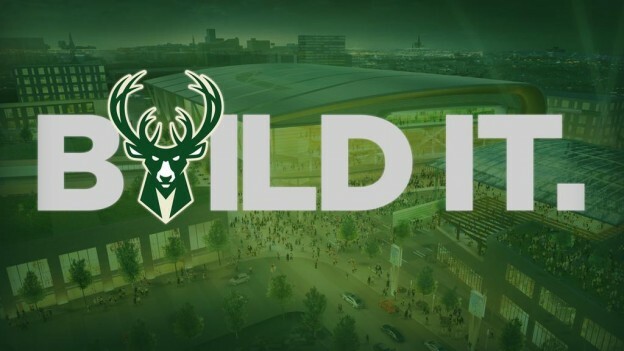 When the specific details are announced in the next week, it is important for Bucks fans to realize that this is simply “the plan” for financing the new arena. This plan has many moving parts and will need a number of different constituencies to sign off on things. If some of these groups fail to go along with the plan, there might not be an arena. Thus it is critical that arena supporters convey to your elected representatives in the coming weeks that you want them to support the project. This entry was posted in Articles and tagged Chris Abele, City of Milwaukee, Milwaukee Bucks, Milwaukee County, New Arena, Save Our Bucks, Senator Kohl, Tom Barrett, Wisconsin Center District on May 28, 2015 by SOB Editor.